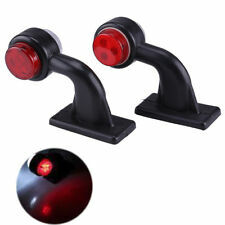 VOLVO FH2 SIGNAL UP CHROME '' STAINLESS STEEL '' 2 pcs. SCANIA CROWN 1998-2017 Stainless Steel 1 Pcs. To fit SCANIA Trailer/Truck rear. Rear rubber Mud Flap long. black colour with white logo. easy to install and easy to clean. 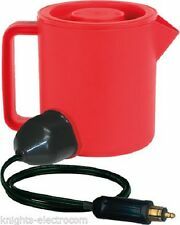 24 Volt Jug Kettle. Ideal for making hot drinks, snacks etc. "Hella" type plug fitted. 1L capacity. Suitable for24V vehicles only -not for use in cars. Self-contained light head, no external flasher required. Valid irradiation distance is much more longer than normal bulb. The suitable design for heating elimination. No pollution, no noise, no electronic interference. 2 x Black Trumpets - size: 1 x 34cm & 1 x 21cm. Exceptional Service. Benedict Court. 2X LOSE THE SHOESDECALS IN MATTE FINISH decals as pictured Colours available are silver, black. white, red, and blue matte. These decals are designed to go on the outside of the vehicle. Precision computer Cut from premium 5 year exterior grade vinyl. Compatible with all vehicles on 12V and 24V. Distance between fitting holes: 80 mm. fully integrated and complete LED unit. One Pair (left and right). Strong and Bright Light. Top quality. Material: ABS plastic. Trailers,Trucks,Lorry,Utes,Boat,Caravans Etc. 2x LED Rear Tail Light (Left & Right). Volt: DC 12V. Yellow - Indicator (Applied When Indicators Are Acive). Black - Applied When Tail Lights Are Active. To fit DAF Trailer/Truck rear. Rear rubber Mud Flap long. black colour with blue logo. easy to install and easy to clean. This bar fits in either of the lower grills - would look great with one in each! Each marker has 1 x LED's within it. 75mm (Length) x 22mm (Width) x 8mm (Depth). Pre Wired with 230mm Cable. 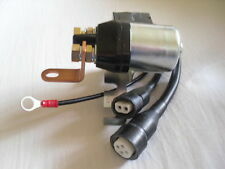 Hella type 12/24V plug for connecting appliances to trucks, caravans, camper vans (VW) and boats that are fitted with Hella type power sockets. This is a plug not an adaptor. Trucks usually have at least one socket that your standard cigarette lighter plug won't fit into. Scania Top Line. 24v only -Width: 50cm -Height: 50cm Cable length: 3m. Illuminated LED logo display. TRUCK LED LOGO LIGHT BOARD. Colour and logo Customisations/Personalisations available upon request. 4 LED'S IN EACH MARKER! 7,5 CM HEIGHT INC. 7,5CM BETWEEN HOLES CENTERS . A PAIR OF HEAVY DUTY RUBBER MARKER 12 LED RED/WHITE LIGHTS. BETWEEN FITTING OPENINGS - 70 MM. WIDTH - 90 MM. Air Gun Blow Duster Set 5M with bag Mercedes Actros MP4 and Daf !!! Free of dust?. It is designed for the efficient blowing of air, ideal for the cleaning of parts and surfaces in your truck. Air Gun Blow Duster Set 5M with bag. Scania 10 mil plastic bolt on SUPER Badge. Fits all scania models. We have over 10 years experience in the vehicle graphics industry specialising in Truck graphics. DAF XF 106,105. DAF XF super space cab. DAF XF 105 (2007-2011). DAF XF 105 (2012-2013). DAF XF 105. DAF XF 106. The table needs a small amount of self-assembling that is easy to do. Screws and key are provided. To fit SCANIA Truck/Lorry front or rear. black colour with white logo. easy to install and easy to clean. chemical resistant. Ensure that you have everything you to be safe on the road with commercial lorry and truck parts. Go for a set of extra lights to increase your visibility in all conditions, or get something to install in the cabin to make every journey more comfortable. From modification and enhancement lorry parts to replacement components, there's vehicle parts and accessories for every trucker. 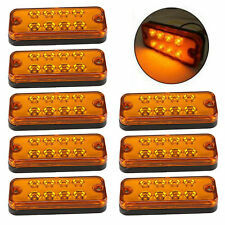 Add a set of commercial lorry and truck lights to increase your visibility when out on the roads. These handy add-ons can be used to either outline your vehicle or add light to your trailer. 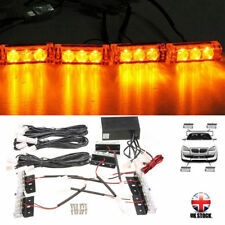 A set of mini LED lights are can be used exactly how you want. 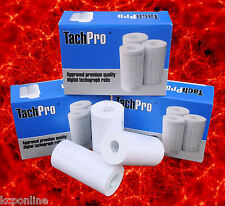 Simply screw them in place and benefit from having a brighter, more defined vehicle. You'll also find stalk indicator lights that stand out from the side of your vehicle, perfect for placing between the cabin and the trailer. Or, these can be fixed to the top of your lorry for full visibility. 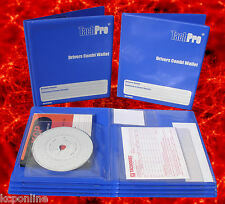 You'll also find a range of parts and accessories for your tachograph. Get yourself a set of back up rolls so you never find yourself without tachograph paper, or go for a wallet for keeping your tachograph charts and envelopes. Go for some accessories for your cabin to make your job more enjoyable. Install a set of curtains so you can sleep easier. These come in a range of styles to match your lorry and cabin. Go for a black set of curtains from Scania with striking red details and matching tassels for something with striking style. Make sure that you're never stuck on the road without food with a handy lorry oven. These plug into the cigarette lighter and can be used to cook a range of tasty foods, all without leaving your cabin.